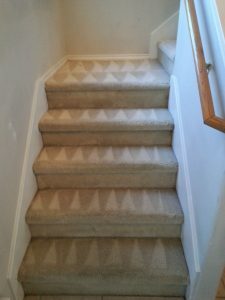 Why not try Beyer Carpet Cleaning? There are dozens of carpet cleaners in San Antonio. You have your professionals and your fly by night carpet cleaners. With all the choices in carpet cleaning why not try Beyer Carpet Cleaning? Beyer Carpet Cleaning is the “new kid” on the block in the carpet cleaning industry. They have been around for 2 years but within this short amount of time they have managed to outshine the other competitors. With outstanding customer service and five star reviews across the internet it’s hard to beat them. They provide the same professional carpet cleaning services just like the big guys who have been around longer. They also use the same top of the line products and equipment to clean. So other then providing the same cleaning services as the big guys what separates Beyer Carpet Cleaning from the rest and why would you use them? Well, Beyer Carpet Cleaning is a family owned and operated company so they give more attention to their customers then most carpet cleaners. Besides top notch customer service their prices will beat anyones best offer. With prices as low as $99 Beyer Carpet Cleaning can’t be beat. 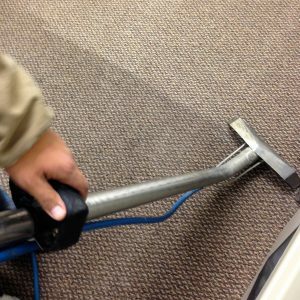 Beyer Carpet Cleaning’s best service carpet cleaning includes a vacuum, steam clean, pre-spray, and free deodorizer. Their technicians are highly trained and well prepared to service any home. They can give you a free quote over the phone and schedule you for a time that is most convenient for your schedule. For such a quality company they are sometimes underrated because they are small; however, they don’t let size hold them back. From residential homes to businesses Beyer Carpet Cleaning has serviced it all. So San Antonio the next time you are looking for the best carpet cleaning in San Antonio don’t let the small family factor scare you away. You can trust that Beyer Carpet Cleaning will take great care of your carpet cleaning, tile and grout cleaning, and upholstery cleaning needs.